When you think of summer, what usually comes to mind? For me, it’s beautiful memories at the Lakehouse… the scent of evening bonfires and smores, the sounds of the birds, nature and rippling water, paddle-boating in complete serenity, fishing by the deck, the feeling of warm sand on my bare toes with a cold glass of freshly made lemonade in my hand. 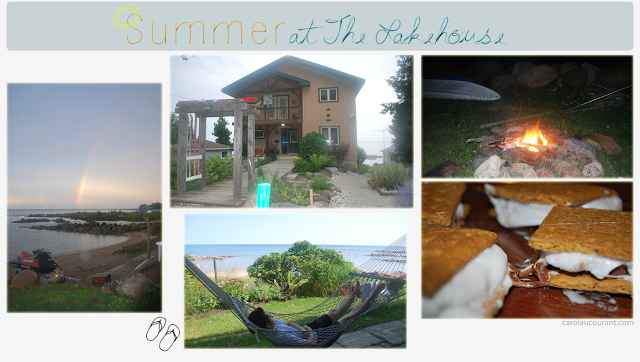 There’s nothing quite like summer days spent by the lake with loved ones. 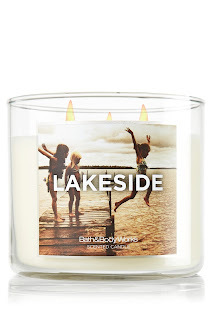 Bath & Body Works’ introduces their latest Lakeside Summer Candle Collection featuring scents that will have you living and breathing summer all year long, wherever you may be. NEW LAKESIDE: An invigorating blend of fresh water, drift wood and lemon zest, this fragrance is refreshing like the water after a cannon ball. 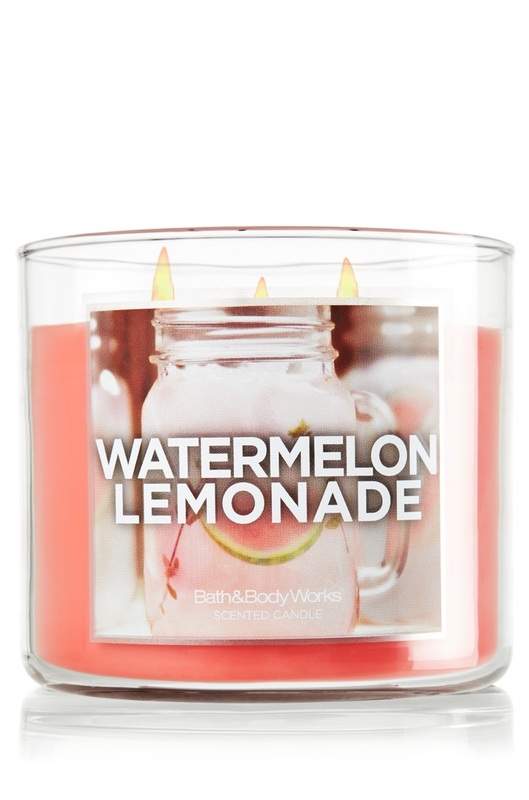 NEW WATERMELON LEMONADE: Enjoy the coolest sip of summer with this mixture of sparkling watermelon, candied lemons, and sugared musk. 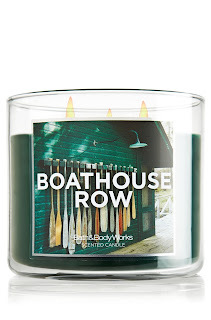 NEW BOATHOUSE ROW: Deep, blue water, green sage, and cedar wood, this fragrance is the essence a cool retreat in the shade. NEW STRAWBERRY PICNIC: A slice of summer time sweetness, this fragrance is a blend of red, ripe strawberries, wild raspberries and sweet buttercream frosting. NEW SUMMERTIME S’MORES: This blend of roasted marshmallow, crackling campfire and rich, creamy vanilla is a gooey & guilt free treat. 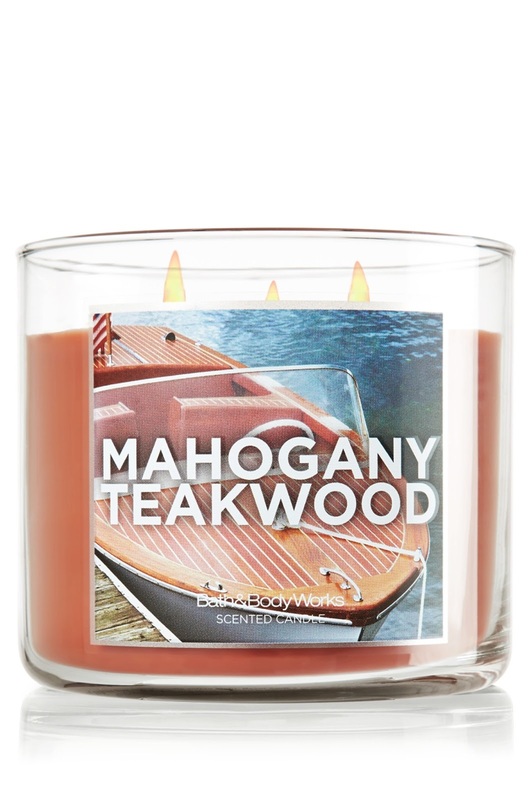 MAHOGANY TEAKWOOD: Like the warmth of a boat’s deck in the sun, bask in the luxurious scents of fine woods like mahogany, cedarwood and oak. What I love about Bath & Body Works is that they are always having seriously awesome deals like 50% off or buy one, get one free, etc. at their retail locations. This coming Monday is Canada Day which means a much-deserved long weekend ready to fill with new summer memories! 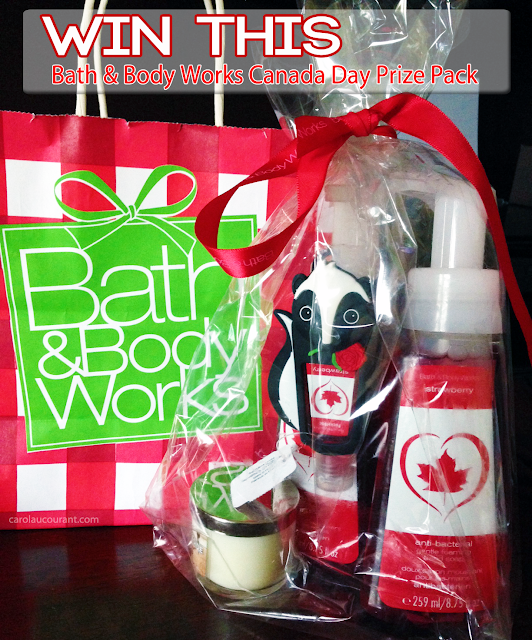 Courtesy of my friends at Bath & Body Works Canada, one of my readers gets a chance to win this very patriotic and sweet-smelling Canada Day Prize Pack. Contest ends July 5th, 2013. I haven’t had the chance to try any, but watermelon lemonade and strawberry picnic sound like they’re right up my alley! I’ll have to go in and check these out! Oh my!! I LOVEEEEE WATERMELON AND LEMONADE, AND THE TWO TOGETHER…EVEN BETTER. The Candle I love the most is the New Watermelon Lemonade Candle. I think I’d like Strawberry Picnic the most. 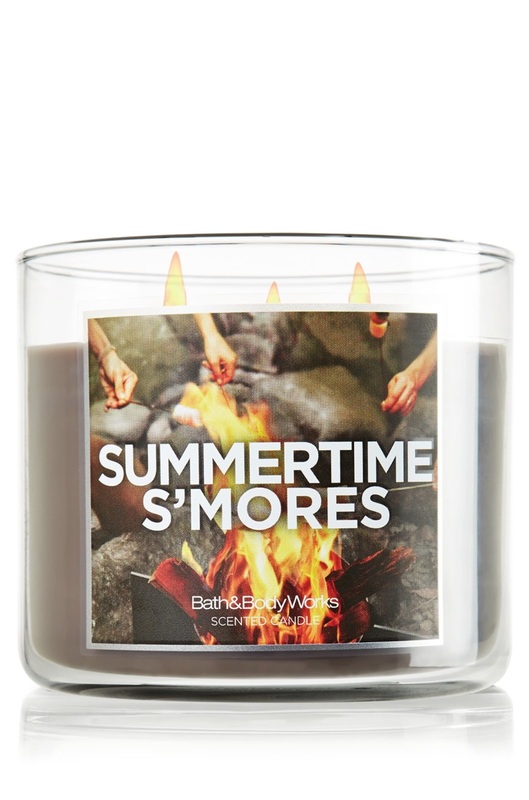 I would have to say Summertime S’mores because I LOVE the smell of marshmallows! <3 Makes me think of camping. 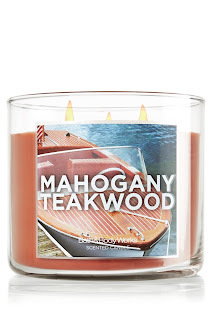 The Mahogany Teakwood would be the one for me. 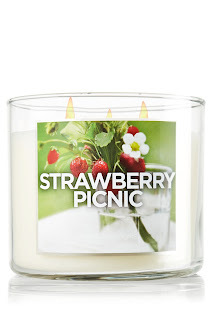 STRAWBERRY PICNIC – i love berry candles! I like the Mahogany and Teakwood scent! I so want to try the Boathouse Row! I like Summertime S’mores the most. Sounds so good! 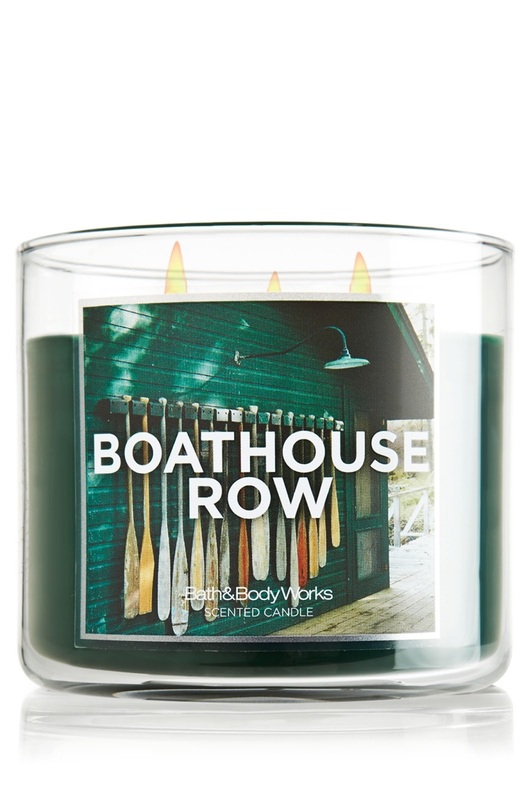 They all sound yummy but I think Boathouse Row would be my fave! the summertime smores would be great! Mmmm I choose Watermelon Lemonade!!! 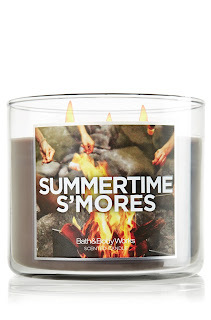 The Summertime S’Mores sounds like it would smell great! 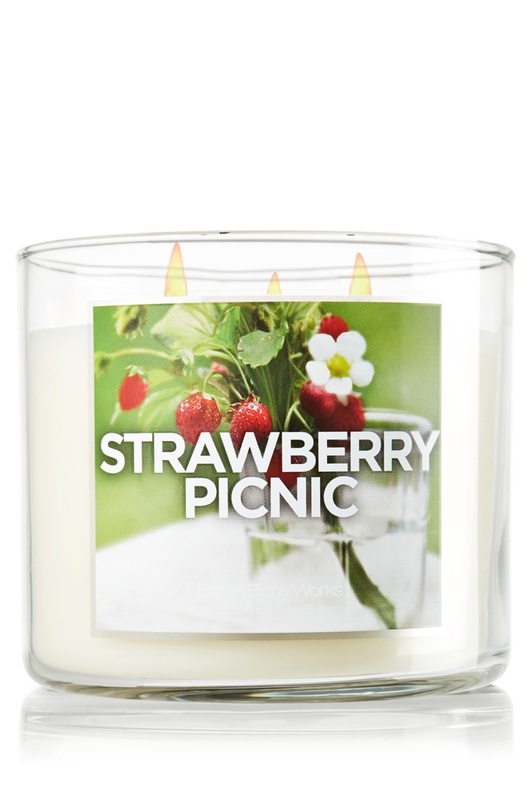 I would enjoy the STRAWBERRY PICNIC candle. Summertime Smores would be my favourite! YUM!! Strawberry picnic for sure!